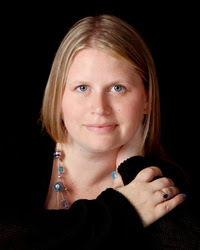 Rebekah L. Purdy is the author of several ya novels, including the forthcoming THE LEGEND OF ME. Her writing style has been compared to Maggie Stiefvater and Kristin Cashore. Her newest novel, THE WINTER PEOPLE, hit stores yesterday, and aside from a completely stunning cover, the story itself sounds enchanting and wonderful. Actually, my journey began like 10 years ago. OMG, is that even possible? I’ve definitely had an epic ride. Filled with battles with the Dark Side (rejection), friendship (my own Rebel Alliance-aka my crit group), Jedi tests (finding a new agent/landing book deals), and blowing up the Death Star (my hardcover book finally coming out/being published). As some of you might remember, I got to do a WOW post about 3 years ago when I landed my first agent. Which took me 7 years and 8 manuscripts to land (yeah, a long time). The thing was, I never gave up. I worked my tail off to get to that point. This agent would sell one of my books for me and it’d be published. But after about 8 months, things kind of fell apart. My then agent and I amicably parted ways. Let me tell you that was a HUGE blow to my self-esteem/writing. Like the Rebel Alliance being dealt a blow by the Empire, when their base on Hoth was attacked, I had to set off on another journey. I wondered if I’d ever find another agent or if my books would see the light of day. So I dove into the query trenches again—lightsaber in hand. To my surprise, it only took me a couple months to land my new (and current) agent Jenn Mishler. The first time I spoke to her on the phone, I knew she was “my yoda”. She got my stories and got me. Our visions were the same. And even though I was nervous and forgot one of my characters names, I knew this was my perfect match—think Han Solo and Chewbacca! So I signed with her for my book The Legend of Me. But at the time, I had some of my older books that I also wanted her to take a look at as well, books that I loved and hoped would find a place. And so my journey started again. We boarded the Millennium Falcon (or rather started to work on revisions and also query some other stories). Within a couple months of signing with my agent, she called me at work to tell me we had an offer for my book The Winter People. A book that’d made its rounds a couple years prior and had been sitting in my drawer at home. OMG, I couldn’t believe it. It was like being given secret instructions on how to sneak into Darth Vader’s ship or take down a droid army. When she got more details, she called me from the train to tell me that we had an offer for a 3 book deal. Eventually, we’d sign the contract for this book. Over the course of the next two years, my agent would go on to sell 6 more books for me (yes six). Legend of Me in a 3 book deal, The Romeo Club in a 2 book deal, and Where There Be Humans. Two of these books were books that had been previously rejected by other agents. But my agent believed in me, like Obi Wan Kenobi believed in Luke Skywalker and she ended up selling these books. When we first learned about The Winter People selling in a 3 book deal, it was supposed to come out in paperback and in ebook. I was SO excited, I mean, my book would be in print. They set up my original release date for 12/2013. But as you know, nothing in the publishing world is written in stone. So when Entangled Publishing contacted us to say that my release date would be pushed back, I was kind of bummed. This book would go on to be moved like 3 times, but then something awesome happened. My publisher partnered with Macmillan—and my editor had taken The Winter People to their sales meeting. Now, my book would be coming out, not in paperback, but in hardcover! My release date would change to September 2, 2014, but I’d get to see my book in hardcover. I cried. I mean, this was what I’d always wanted. To hold my book. To have it be in actual bookstores. And to be in hardcover. The Winter People for me is a story that tested me. Like the Dark Side trying to seduce Luke Skywalker over to their side. I originally wrote this book as a short story in high school (yes, you heard that right—high school). But as an adult, I couldn’t get the short story out of my head and after my step daughter read it and talked with me, I decided I’d like to really dig deeper into this world. So, I started to write it as a full length book. This was the first story I ever let my crit group read of mine. This story has all my blood, sweat, and tears wrapped up in it. From the first rejections to the crazy deadlines and edits to the moving of release dates…this book was my test. There were several moments, when I wondered what would become of it or if it’d ever see the light of day. But as you can see, I won my battle against the “Dark Side.” The Death Star has been blown up! After ten years of querying, writing, honing my craft, my book will finally be in readers’ hands. And I can’t stress it enough about sticking with it. Don’t. Give. Up. Take these words and live by them and take the word “can’t” out of your vocabulary. If you want this bad enough, it CAN and WILL happen for you. But you have to work hard. Like Luke Skywalker learning to wield his lightsaber and trying to rescue first, Princess Leia, then Han Solo, and taking down the Empire. It isn’t easy. But anything worth having is worth fighting for. Yes, you will face rejection. Yes, you will become disheartened at times. But trust me, you’ll appreciate the journey so much more, knowing that you fought for what you wanted. Sometimes I look back at my timeline and think, what would’ve happened if I would’ve given up after my first rejections? Or gave up after writing my first book? I tell you what would’ve happened, I wouldn’t be where I am today—and I wouldn’t have my first hardcover book coming out. No! Try not. Do, or do not. There is no try." Rebekah was born and raised in Michigan where she has lived for most of her life, other than the few years she spent in the U.S. Army. At which time she got a chance to experience MO, KS, SC, and CA. Rebekah works full time for the court system and in her free time she writes YA stories. She has a big family consisting of 6 kids and 8 pets. She loves to sing, swim, camp, sled and travel in her free time and she belongs to a writing group called YA Fiction Fanatics. What a great story. It gives us all hope. 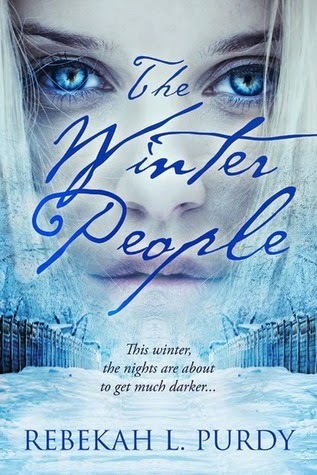 I love the cover on The Winter People. Gorgeous.